Wendy Quach, President (Term Jan 2017 – Dec 2019) 3 year term. Assumed presidency a year early because president resigned in 2016. Wendy Quach, Ph.D., CCC-SLP, is a licensed, certified speech language pathologist and associate professor in the Department of Communicative Disorders and Sciences at San José State University. Her teaching and research interests are in the areas of AAC for people with complex communication needs and motor speech disorders. Since starting her academic career at SJSU, she has developed and initiated two specialized AAC clinics, the SJSU Conversation Club for adults who use AAC, and AAC Kids Camp for children with disabilities who are non-verbal or have limited speech. 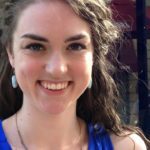 She serves as an advisor for graduate students in the CD&S department and for the local chapter of the National Student Speech Language and Hearing Association. Dr. Quach has presented locally, nationally, and internationally on her research in AAC. She is actively engaged in several collaborative research projects and is supported through several US Department of Education grants. She is a member of the American Speech-Language and Hearing Association and serves as a reviewer for professional journals. Dr. Quach has a passion for instilling research in her students and has mentored several students on various projects related to AAC. 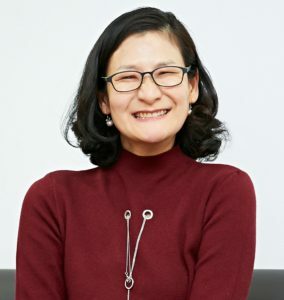 Yoosun Chung, President Elect (Term March 2019 – Dec 2019). Appointed due to resignation of President–Elect in 2019. Yoosun Chung, Ph.D., is an associate professor in the Division of Special Education and disAbility Research of the College of Education and Human Development at George Mason University. As an AAC user, she has focused on the use of Mainstream Intelligent Digital Assistant of AAC users, the perspectives of AAC users, the attitudes towards AAC users in public, how to increase awareness of AAC in public, etc. 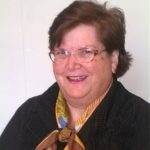 She was the recipient of the WORDS+/ISAAC Outstanding Consumer Lecture Award from ISAAC in 2006, the Teaching Excellence Award – Teaching with Technology from Center for Teaching Excellent at George Mason University in 2012 and the Edwin and Esther Prentke AAC Distinguished Lecture Award from ASHA in 2017. Dr. Chung received her bachelor’s degree from George Mason University and her master’s degree from Cornell University in Computer Science. A founder of USSAAC, Sarah currently serves as its past president and co-chair of its Membership and Disaster Relief committees. She remains deeply committed to addressing barriers to communication ACCESS across settings, circumstances and communication partners. She currently serves on the NIDCD Council and the Boards of several non-profits. Publications include Augmentative Communication News; Social Networks: A Communication Inventory for Individuals with CCN and their Communication Partners, and Patient-Provider Communication: Roles of Speech-Language Pathologists and Other Health Professionals. Employment history: Rehabilitation Institute of Pittsburgh, Johns Hopkins/Kennedy Krieger Institute, Augmentative Communication Inc., Berkeley Unified School District and the AAC-RERC. Tracy lives life to the fullest! 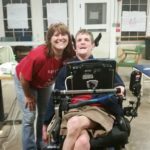 Born with cerebral palsy, she uses assistive technology for mobility, daily living, employment, computer access, and communication. 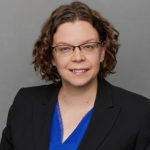 She recently completed her doctorate and is a faculty member at the University of Georgia, Institute on Human Development and Disability, teaching undergraduate students, training and providing technical assistance, and preparing articles for research publication. She has conducted research and published scholarly works regarding AAC, transition and people with disabilities. When not working, you can find her fishing, rock climbing, surfing, tubing, or just about any outdoor activity she can find. Alison Pentland received her master’s degree in Speech-Language Pathology from San Jose State University in California where she participated in its AAC in Educational Settings grant. She focuses on AAC assessment and treatment, working with communicators of all ages in their homes and schools. She also provides indirect services and trainings for family members and professionals in California. Alison is an advocate and firm believer that communication is a human and civil right. Lew currently serves as Director, USSAAC Advocacy. 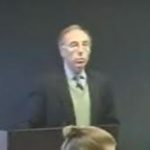 He is a lawyer and Director of the Assistive Technology Law Center. His relevant experience includes 35 years of legal and policy advocacy and professional education services directed to expanding and protecting SGD coverage and access by health and other benefits funding programs. It also includes many years of service to as a member of the USSAAC board, both as a regional representative and as its Advocacy Director. I live in Appleton, Wisconsin. I have been an AAC user for 15 beautiful years and I have been mentoring younger children for 4 years. I believe many families do not know about USSAAC ISAAC because we don’t have any local chapters. I know that the first time I learned about ISAAC was in 2011 when I was at the Pittsburgh Employment Conference. So my mission is getting the word out about USSAAC and ISAAC to families and teachers. I’m also active in my local and state Kiwanis. I’m looking forward to helping USSAAC ISAAC to better help the families who have a AAC user. 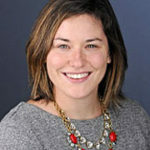 Stephanie Meehan, Ph.D., CCC-SLP currently serves as the Director of Professional Affairs. She is a Clinical Assistant Professor at the University of Kansas. She currently leads a team of clinical practicum students on the Promoting Access and Advocacy to Communication and Education (PAACE) team, which serves clients in a local school district as well as in the Schiefelbusch Speech-Language-Hearing Clinic. She teaches the Introduction to AAC class to speech-language pathology master’s students. 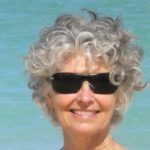 Her primary professional interests include improving the pre-service education and training in the area of AAC, what contributes to long term positive outcomes for people who use AAC, and multicultural issues in AAC. Vicki is a Clinical Assistant Professor at the University of Memphis. She teaches the graduate level AAC course, the school-based issues clinic class, and supervises students in the university clinic. Previously, Vicki coordinated AAC and AT for Boston Public Schools. She has presented on AAC at ISAAC, ASHA, ATIA and several Tennessee state conferences. Vicki is the co-principal investigator on a grant to build AAC capacity across the state of Tennessee. 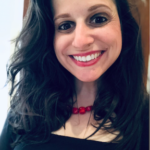 Tami Altschuler is a Clinical Specialist in Patient-Provider Communication in the Department of Speech-Language Pathology at New York University Langone Medical Center and the Rusk Rehabilitation Institute of Medicine in New York, NY. She is spearheading hospital wide patient-provider communication initiatives to establish and increase communication supports throughout the continuum of care. She has presented nationally and internationally on the topic of patient-provider communication.